Ideal for driving lessons Llandrindod Wells has a central Test Centre too. In fact the Driving Standards Agency (D.S.A.) test centre that can be found at the Government Buildings, Spa Road East. Our Driving Instructors from Llandrindod wells provide driving lessons from all the surrounding towns and villages of Llandrindod Wells. Being in a rural area, our Driving Instructors are always happy to pick up and drop off from home, as this serves two purposes the drive from home to Llandrindod wells is a good warm up and gets the driver settled, the drive from Llandrindod wells to home is ideal for questions on theory, debriefing and to practice independent driving. So where ever you live we can give you the best driving tuition, making the most of the time you spend in the car. 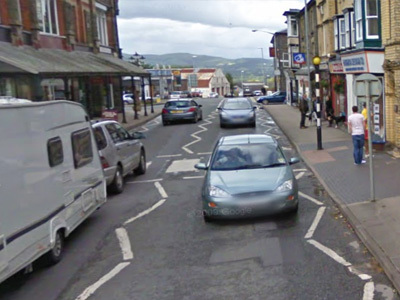 Sometimes seen as an easy option for driving lessons Llandrindod Wells actually it’s own unique challenges, so but don’t be fooled! With the lack of dual lanes and pedestrian crossings it makes up for it with one way systems, narrow country lanes and high speed “A” roads. On passing your test in Llandrindod wells you will be a good all round driver. To develop your skills further why not take up the Pass Plus course to gain experience in dual lanes, motorways and larger cities.